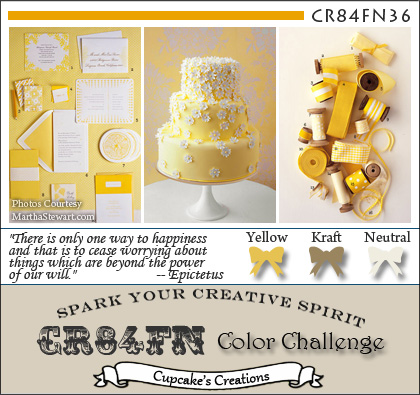 At Basic Grey Challenges, this week Anything Goes! I used Basic Grey "Porcelain" paper. 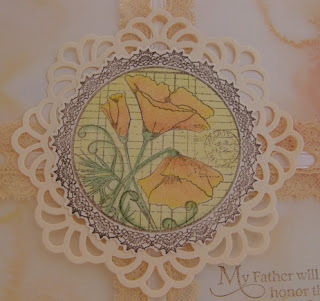 This week's Shining the Light Challenge #74 at Our Daily Bread Designs is to use a doily. 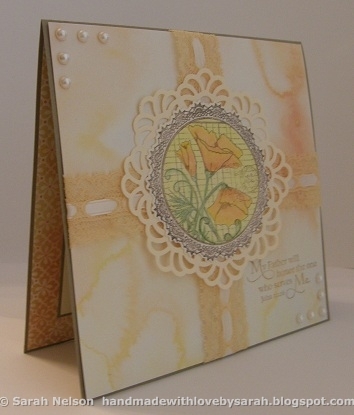 The Stamping in Time Challenge #42 at Our Daily Bread Designs is to use lace. 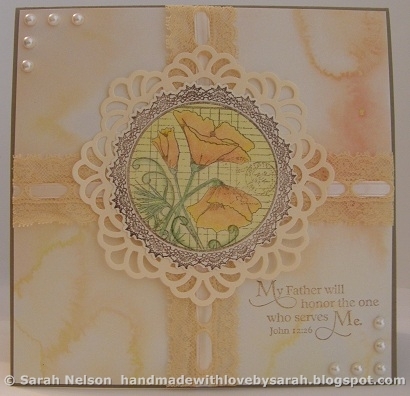 At Papertake Weekly, the challenge is to use a die cut. 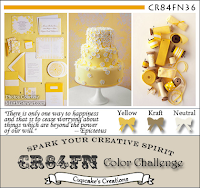 I didn't make the deadline for CR84FN36 to use yellow, kraft, and a neutral (I used ivory), but I already had this card started, so I decided to stick with those colors. I took a closeup so you could see the center panel a bit more clearly. I also took a side angle photo so you can see a bit of the dimension and the other Basic Grey "Porcelain" paper on the inside of the card. Absolutely gorgeous!!!! LOVE it!! Thanks so much for sharing your wonderful talent with us at Papertake Weekly and hope you join us again soon! Absolutely gorgeous Sarah!! I just love the soft colors and your design!! Beautiful coloring and use of the doily. Thanks for joining the Shining the Light challenge this week! So beautifully elegant, Sarah! Love the soft colors and the fabulous lace detailing! Wonderful card! Thanks so much for playing ODBD Stamping In Time Challenge!